General Appearance: The West Highland is a spirited, sturdy, compact terrier who possesses a unique double coat of coarse long hair over a soft undercoat. Size, Proportion, and Substance: Males 11 inches, females 10 inches tall at the withers. 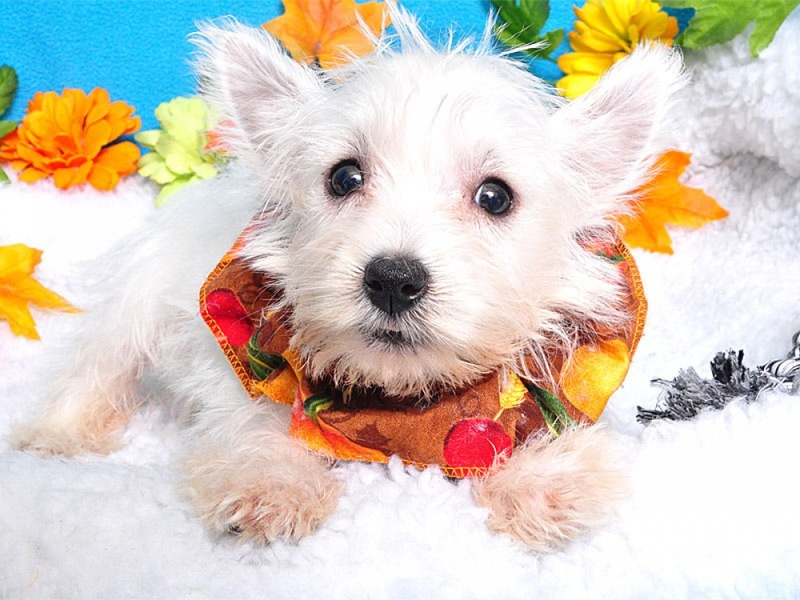 Background: The Westie is an intelligent and loyal dog that is adaptable to most lifestyles. They weigh between 18 and 22 pounds and have no shortage of energy or desire to please their owners. West Highlands make a wonderful family addition whether you are looking for a jogging buddy or a cuddly confidante.